In 1985, NOSELAB S.R.L. was set up as a trade company operating in the field of laboratory measuring instruments, especially for textile and paint industries. 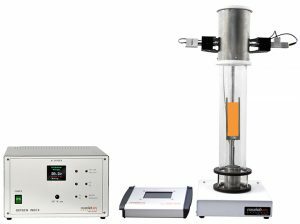 Starting from 2000 we have been enlarging our product range to cover other aspects of material measuring and testing and moreover we have been developing test equipment for reaction to fire in cooperation with the utmost Research Institutes and Certification Laboratories. In 2009 a new production plant started and brought the Company to specialize in physical and mechanical tests on plastic materials. 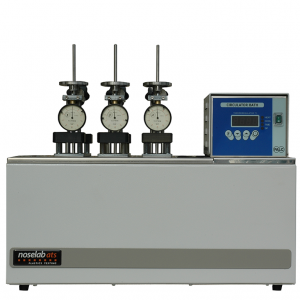 Now days, Noselab is a modern company that have been working for more than 25 years with professionalism, creativity and commitment, developing services and products for laboratory tests in various industrial fields. Continuous innovation has allowed us to face up to international market, constantly increasing our market share. An ambitious idea. As a matter of fact we have always had a development philosophy based on a constant research for innovative technologies and processes, aiming at improving product performances and offering the best and most adequate solution for each customer’s application and need. This Company Philosophy enables us to widen our product range and distribution network significantly, caring for high standard quality. Today NOSELAB ATS can offer a full range of equipment and devices, standard ones or customized one upon special requests and needs, for paint industries, cosmetics, plastic and rubber materials, nautical industry, automotive, coil coating , woodworking.